This plan is designed for the cyclist training to race criteriums and/or MTB races, as well as all facets of cycling. The goal of this plan is to develop your skills and abilities for the demanding physical requirements of criterium and MTB racing. Even though the last 10 weeks are focused on two areas, this plan will develop any rider into a better all around performer. 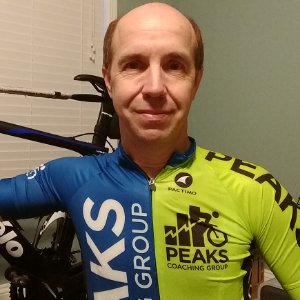 Through years of coaching and racing, I have found that criterium and mountain bike race training compliment each other very well. The final 10 weeks of this 28 week plan target the zones, intervals, efforts required to do well at these events. If you are a criterium racer, the road or trainer is your studio. For mountain bike racers the trainer, road and/or trails will be your studio. If you do both, then mix it up as your choice and have fun! This is a 28 week plan. This training will develop your power, repeat-ability, and a great sprint. Repeat-ability of zone 5 and 6 efforts are required for successful criterium racing and MTB racing. The ability to handle high power at high cadence that we so often experience in criterium and/or MTB racing is critical. This plan is great to build overall fitness that will also benefit all types of racing. MS 50 minutes SST (Sweet Spot) 88-93% of FTP. If you are not up to a straight 50 minutes, then break this into 20, 20, 10 or similar. BUT, only 1-2 minutes rest between intervals. Too much rest will defeat the performance gains if the longer time spent at SST. WU 15 mins. Endurance zone. MS 6 sets of pedal stomps. 10 pedal strokes total (5 per leg) on each effort. 5 mins. Endurance between each effort. Heart rate will not have time to react. Just crush the pedals for 5 strokes on each leg. Be careful to pay attention to keeping good smooth form. You should be at about 60-70 rpm in a gear that will not let you zap the pedals to 100rpm, but instead the gear should provide enough resistance that you can only get to 85-90 rpm. Do not pick a gear too big that keeps you bogged down at 70rpm. Finish up with 20 mins. at Tempo. Cool Down 10 mins.